On Monday night the friends of Pacifica Institute Utah Talk in Action met at The Road Home to teach a half dozen different art projects to kids really ready for the diversion. 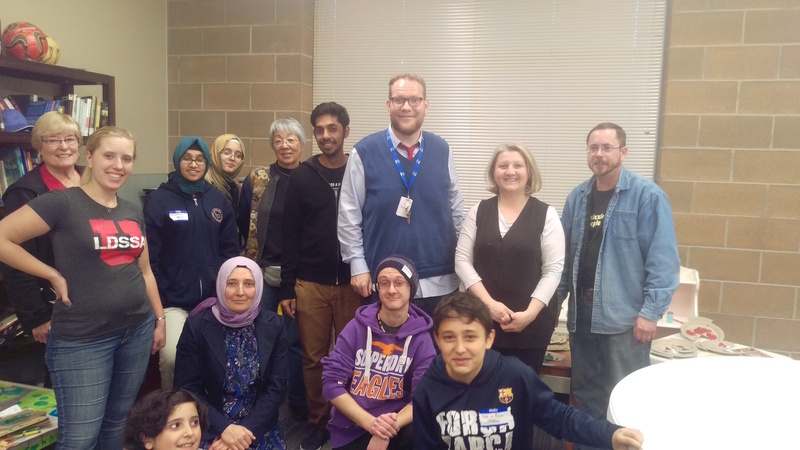 Working with Jean Irwin, Art Educator with the Utah Division of Arts and Museums, and under the energetic eye of Talk in Action’s Zeynep, we built shaving cream marbled paper, fantastic fish, beaded jewelry, puppets, and model airplanes. Excited children moved from table to table, laughing and telling stories as they had fun building each art project. 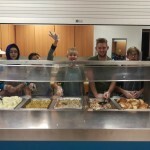 The Road Home (theroadhome.org) is a Salt Lake County nonprofit engaged in making a real impact on homelessness in Utah. Sheltering individuals and families, The Road Home provides tools and training to help people in need forge brighter futures for themselves and loved ones, guided by the values of Equal Treatment, Compassion, Respect, and Dignity. A perfect partner for Pacifica Utah’s Talk in Action. Volunteers at our Art Night were drawn from a broad spectrum of our community and included educators, professionals, high school and college students, and kids who walked their peers through making each project. The children at The Road Home were excited and happy, enjoying time with these fun strangers and especially with each other. “This one’s a real artist!” exclaimed Josie, a medical professional when she’s not teaching children how to make jewelry. “I’m always amazed at how much energy they have!” observed Edie, lifelong educator and toy airplane mechanic. It was astounding how much ground the shaving cream could cover when we weren’t keeping a close eye on things, and everyone had great fun talking to each other with their hand puppets and showing off their paper plate fishes. It was certainly a lot of fun to spend a couple hours just playing with these kids. But it was truly wonderful to see children enjoy themselves knowing that their futures are being built better and brighter by their friends at The Road Home.